What are some approaches for making effective brushstrokes? Like most variables when creating images, an artist’s vision of what constitutes an effective brushstroke is driven by what the artist wishes to project. For example, Vincent van Gogh’s choice of brushstroke is driven by the need to express deeply felt personal experiences, whereas an artist like Georges Seurat’s choice, by comparison to van Gogh, is driven by cerebral concerns rooted in theory. Mindful of this, the idea that there may be one type of effective brushstroke that is good for all occasions is unrealistic. Nevertheless, from a practical standpoint there are fundamental principles underpinning the way that an artist makes meaningful brushstrokes and the following discussion will address some of these with reference to: loading the brush (i.e. wetting the brush with ink or paint); handling the brush (i.e. use of the brush to apply the medium of either ink or paint to the support); and, ending the brushstroke (i.e. the finishing touch of making a brushstroke). Condition: light foxing and surface wear, otherwise in good condition. I am selling this painting for $490 AUD including postage and handling to anywhere in the world. Please contact me using the email link at the top of the page if you are interested or click the “Buy Now” button below. 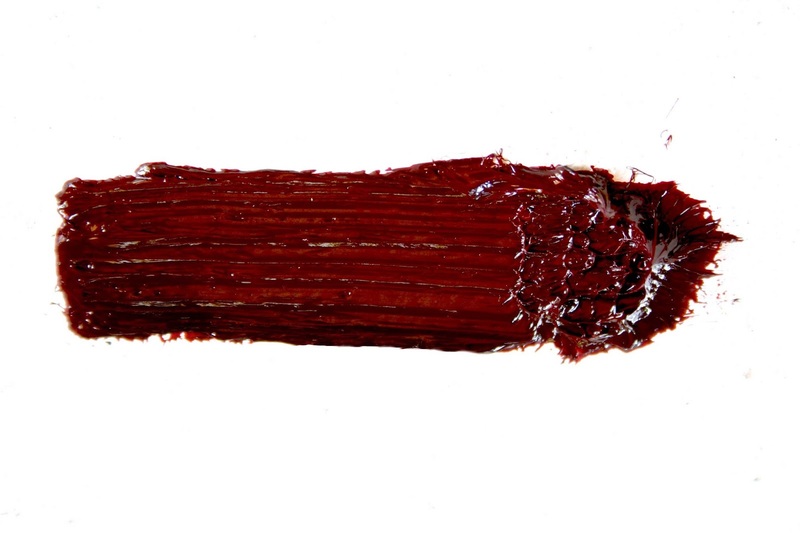 Regarding ideal ways that artists can load their brushes, I wish to propose two useful approaches: loading a brush for fluid mediums like watercolour and ink; loading a brush for viscous mediums like oil paint and acrylic when the paint has not been thinned with a solvent. When working with fluid mediums, the Eastern approach for loading a brush offers artists the opportunity to create brushstrokes exhibiting variations of tone and opacity within each stroke. 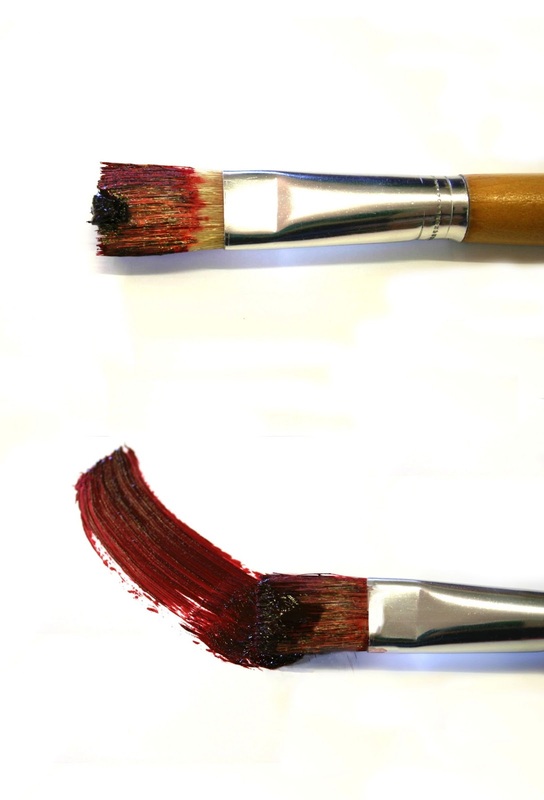 Essentially the process of loading a brush consists of three key stages with each stage designed to produce different tones within the brushstroke (see the illustrations below). Step 1: immerse the brush-head in clear water. 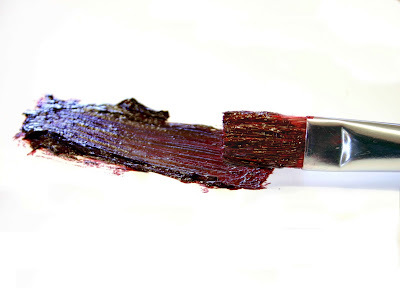 Step 2: Immerse brush-head two-thirds of its length from the tip into a mid-tone of the colour chosen. Step 3: Immerse the tip (or not more than the top-third) of the brush-head into the full-strength colour. 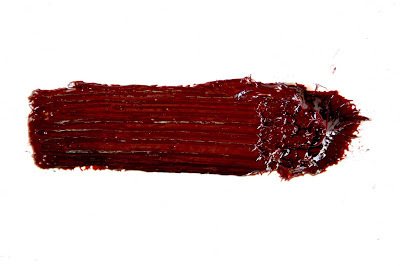 A brush loaded in this way produces brushstrokes that are darker towards their centre and lighter at their edges. An extension of this approach is to load the brush with multiple colours so that each stroke can produce a multi-hued effect. 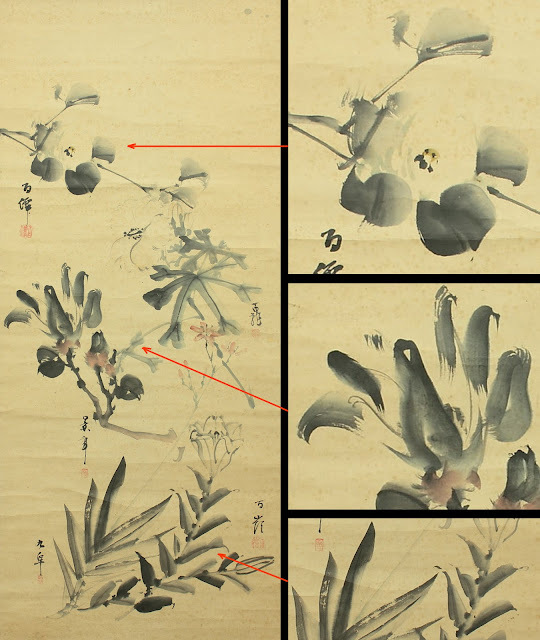 This traditional approach to loading the brush enables Oriental artists to create a tonal range within each stroke as shown in the way that the leaves and flowers are portrayed below. When working with viscous mediums, the Western approach of loading a flat brush (i.e. a square-ended brush) is to ensure that a ball of paint is positioned towards the centre of the brush-end (see illustration below). By loading the brush in this way the resulting brushstrokes exhibit an even spread of paint that defines the shape of each stroke laid. This is important because if an artist were to load the brush with a random dollop of paint (e.g. 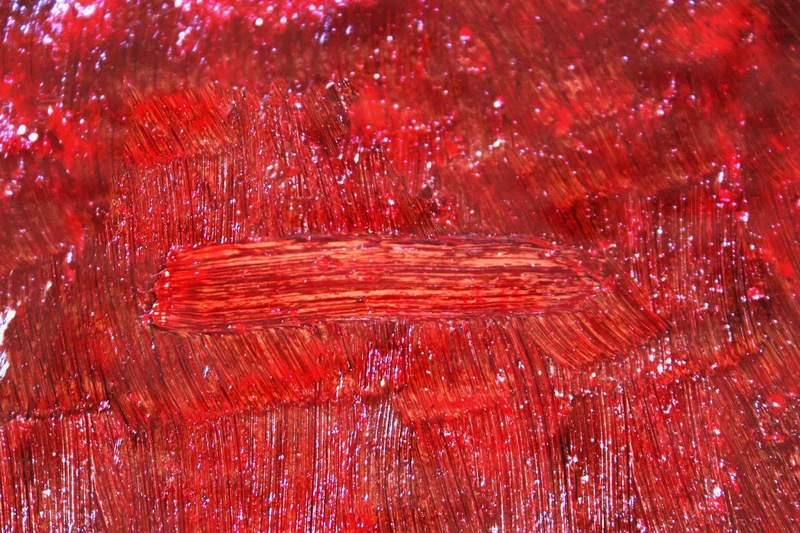 scooping up paint from the palette with the brush without considering how the paint will spread in a stroke) the resulting brushstroke will inevitably have an inexpressive sloppy ridge of paint on either side of the stroke. 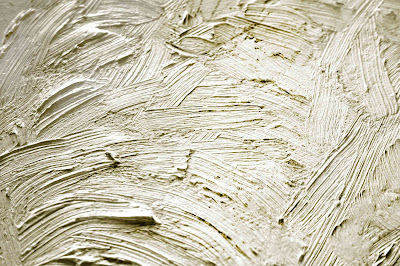 More worrying, the shape of the brushstroke may also be lost (see illustration further below of the typical ridges formed when the brush is not loaded with care). Regarding the best practice in laying brushstrokes, I wish to propose two important approaches that are also applicable for working with square-ended crayons and pastels: use of lateral pressure and angling the brush-head. The approach of using lateral pressure describes the angle that an artist holds the brush when making a stroke. By angling the brush, the resultant stroke exhibits a crisp, unbroken edge on the side of the brush on which pressure is made and a comparatively less defined, crumbly edge on the farther side of the stroke. This change in the attribute of the brushstroke-edge from one side to the other is most noticeable with curved brushstrokes. The reason for this is that with curves, the lateral pressure on the brush moulds the paint like a current of water in a river moulds the two sides of the river-bank differently. For example, in Negasawa Rosetsu’s visually arresting ink painting, Sparrows and Spider (shown below), note how the variations in pressure on the sides of each mark animates the portrayed tangled vines with the spirit of life (see detail further below). Condition: light surface wear and pale stains lower left on the mount, otherwise in good condition. 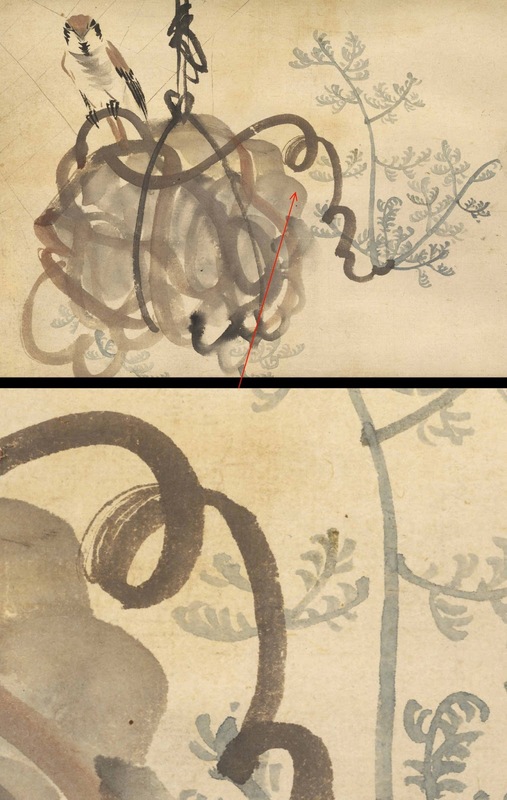 The second approach whereby the artist angles the head of the brush is one of the fundamental principles for both painting and calligraphy. The reason for this is simple. When the tip of the brush is angled (usually at about 45 degrees to the direction that the artist plans to make a mark) the brushstroke will exhibit all the artist’s deviations of direction by the line either thinning or swelling in its thickness. 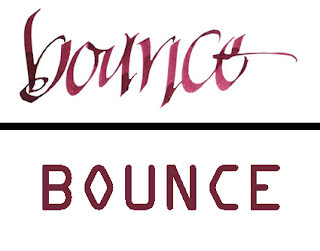 For example, in the earlier post, Passion in a Line, Carl Rohrs’ angled handling of the pen is shown in Bounce (see below). Not only does the angling of the pen give flow to the word but it also captures the spirit of the word’s meaning. Compare, for instance, the projected meaning offered by Rohrs’ calligraphy to the OCR-A font developed in 1968 for optical character recognition shown further below. With regard to fundamental principles about how an artist should end a brushstroke there are two critical rules: creating pictorial coherence within the matrix of brushstrokes (i.e. ensuring that the brushstrokes are pictorially woven together) and communicating meaning (i.e. ensuring that the tail-end of a stroke connotes the type of passion and confidence appropriate to the expressed meaning of the artwork as a whole). The first of these “rules” addresses the important issue that all components of an image should work together to project a clear message. This means that if the artist draws attention to each brushstroke so that all the brushstrokes are arresting to the eye, the image may become fragmented. After all, if each mark is in visual competition with those surrounding it the viewer will become distracted from understanding the artwork and its broad meanings as a whole. 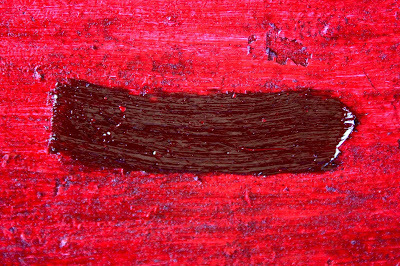 To ensure that the brushstrokes are woven together, artists often overlap the tail-ends of earlier laid strokes so that that there are no individual strokes revealing both their start and their end (see illustration below). Of course, sometimes a viewer’s attention needs to be focused on a specific mark and so both the start and its end are visible. To explain this metaphorically, such a stroke will appear to float like a boat on a sea of marks beneath it and draw attention to itself (see example of such a stroke further below). The second of the rules, communicating meaning, is perhaps the most important. This is because the end of a brushstroke can capture the spirit in which an artwork is executed and even the reason for a mark’s existence. In terms of how the end of the brushstroke can capture the artist’s mindset, I wish to compare the end of a mark that I see as looking like whipped cream (see illustration below) with the end of a mark that I see as looking like a lock of hair formed as a kiss-curl (see illustration further below). The first mark—“whipped cream”—suggests that the artist hesitated tentatively and lifted the brush vertically away from the canvas: arguably this would be a mindset in a state of distraction. The second mark—“kiss-curl”—suggests that the artist painted with confidence and the brush was lifted with speed in the direction that the brushstroke was laid: arguably a mindset where the artist is focused and in a flow of thought and action (i.e. “in the zone”). 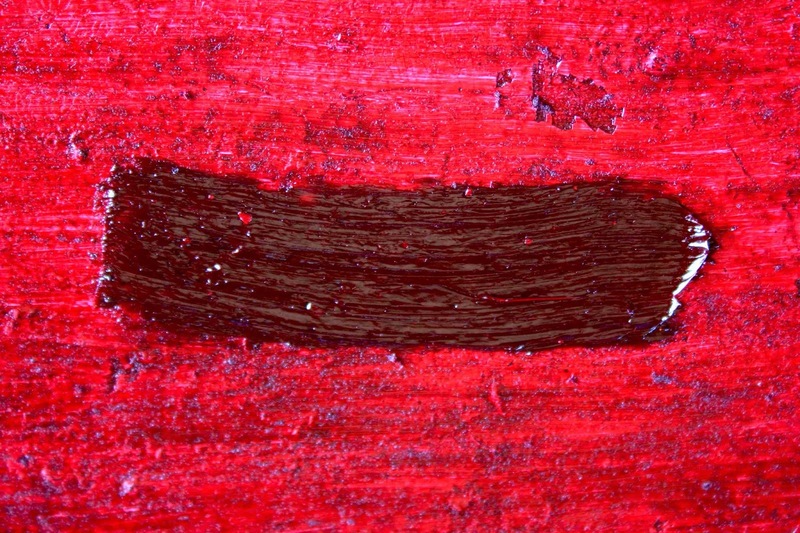 Beyond the artist’s mindset that a viewer may intuitively feel or consciously rationalise through the manner of how a brushstroke is made, the chosen shape for the end of a mark is a element that the artist has total control over. For example, a square-ended mark may connote dry heat; a round-ended mark may connote humid coolness; a tapered-end on a mark may connote strong light. This list of potential meanings projected by a mark could be endless when contextualised with other marks. To illustrate how important the tail-end of a mark can be, I wish to return to Rosetsu’s Sparrows and Spider and focus on a single, but pivotal, brushstroke depicting a strand of web holding a spider in space (see detail below). Note how the line fades into the paper as it approaches the spider and consider how this treatment of the end of the line is so perfect for expressing the taut and delicate tension supporting the spider. publish was good. I do not realize who you are however definitely you are going to a famous blogger should you are not already. I had deleted the following comment but my cook (Isabelle) proposed that I would be in big trouble from her if I failed to publish it. My wonderful and very wise cook’s opinion is that the comment shown below was Kalvin’s first time at posting a note and as such his interaction should be welcomed. Hopefully I will be in for a ripper of a fine dinner tonight! Thanks for your very welcome comment. Words of support keep me motivated ... and sometimes I really need that.